Bike Pic Aug 31, yeah it's Friday, go Minnesota Twins! Bike Pic Aug 31, yeah it’s Friday, go Minnesota Twins! 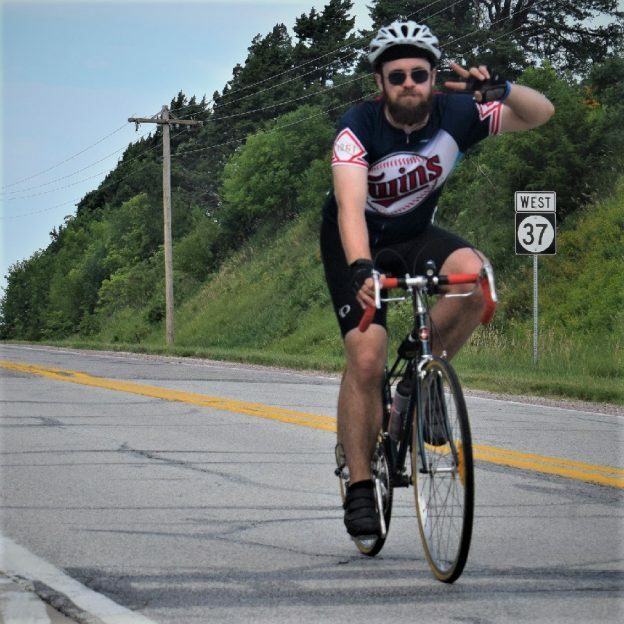 This Bike Pic Friday we are showing you another biker dude, proudly wearing his Minnesota Twins uniform, riding across Iowa several weeks ago. Along the way, it seems everyone had a good time. See more photos at RAGBRAI 2018. This entry was posted in Picture of the Day and tagged #nextbikeadventure, Across Iowa, bike guide, Bike Iowa, biker dude, family memories, Free maps, Iowa, Minnesota Twins, picture perfect, RAGBRAI, ride right, road biking, touring, yeah its Friday on August 31, 2018 by Russ Lowthian.